Driving an HR department is a bumpy ride, but thanks to the gift of technology for making administrative functions less troublesome and complicated. Before technology, the journey of managing an HR department was nothing less than a constant struggle. From hiring new candidates to managing the unending stack of employee data and information- each and every part of resource management demanded constant efficiency and accuracy, which came into practice with the help of innovative solutions. Mobile applications, payroll automation, cloud computing, social media network, etc. – there are many ways in which the new media has influenced the recruitment sector. With the development of internet generation, the birth of new consumer and marketing tactics has paved a way to the new game of hiring. Know these 7 ways in which social media is becoming a potent influence on the recruitment process! Unlike the traditional methods of communication, new media enables a fresh perspective of idea sharing. The methods of content gathering, dispersions, social outreach, measurement tools, management platform and analytics metrics are new. As technology is shrinking, the recruitment shift toward mobile is becoming more evident. Hiring advertisements are more mobile-centric in approach, as they also have rich visual appeal. Social media is the easiest way of finding new talents, establishing relationships with them, and building a talent community for the organization. Recruitment is easy because of the vast variety of people available over such platforms. Since people can interact, discuss and express freely over the internet, it is immediate for them to understand the hiring process of an organization. It is this ease that eventually makes the entire process convenient and effortless. Not just for the hiring manager but also for the employee! The transparent behavior of social media platforms brings clarity for hiring manager and candidates as they can easily understand each other’s behavioral aspects and connotation. 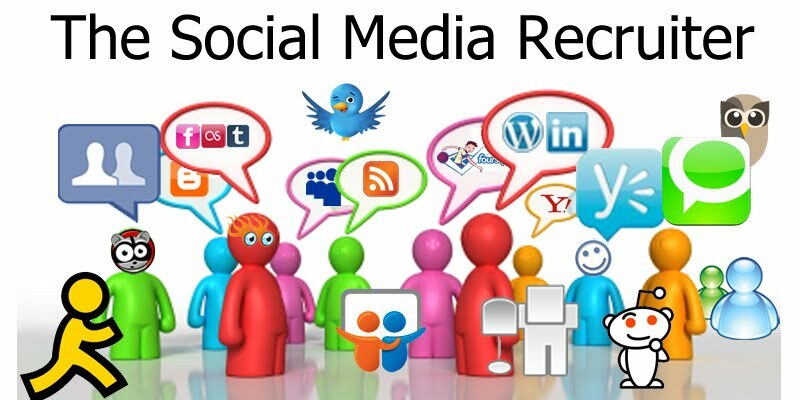 Social media not only helps in providing recruitment solutions but can also help an organization in identifying the problem areas of a candidate. With social profiles like Facebook and Twitter, you can analyze the potential thread and challenges. If talent is distributed even in the remotest corners of the world, then the having ability to find such talent is also no less. Thanks to social media for removing limitations like spatial boundary from the present day structure of talent acquisition. You can now identify skills from a remote vantage point- certainly with ease and comfort.